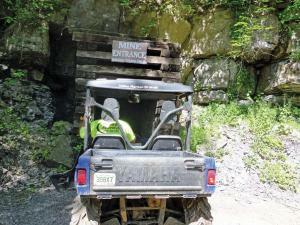 We have been riding all over North America but never under it until we visited the Mines & Meadows ride area near Wampum, PA. 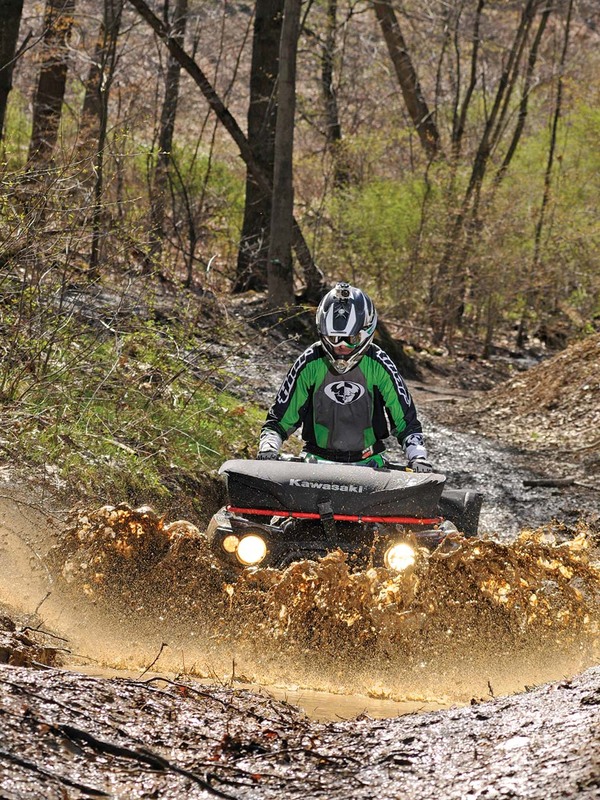 Roughly a half hour northwest of Pittsburgh, Mines and Meadows is over 70 miles of trails on 600 acres of steep hills, tight trees, mud, rocky hill climbs, fast open sections, and even a small, open meadow at the top of the largest hill. It’s like riding just about every type of terrain common to every riding area in the country, all on the same day! 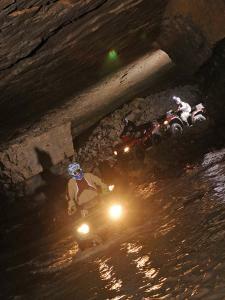 No other riding area we know of can claim an underground section of trail though. Early settlers discovered both coal and oil in the hills of Pennsylvania, but today coal is still king, and the carbon remains of ancient forests once again see the light of day as the mines are worked. When the coal is extracted, limestone is often taken out as well, and the result is vast underground chambers that sometimes find other uses such as storage, or, like Mines & Meadows, as a mushroom farm. 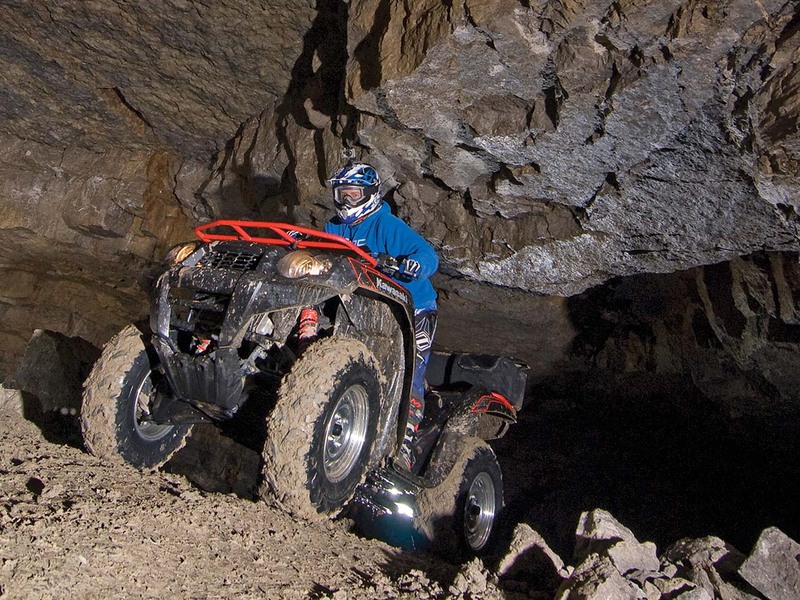 Riding inside a mine is completely unlike riding anywhere else. Weaving between the giant columns that hold the ceiling up, your senses are acutely aware that becoming lost here would be much like being lost in space. Stopping to turn off the engines and lights for a moment brings darkness deeper than we’ve ever known. Our guide also warns of the dangers of hidden lakes and pools that may seem shallow but are up to 20’ deep, and make no mistake, exploring underground with a guide is the only way to go. 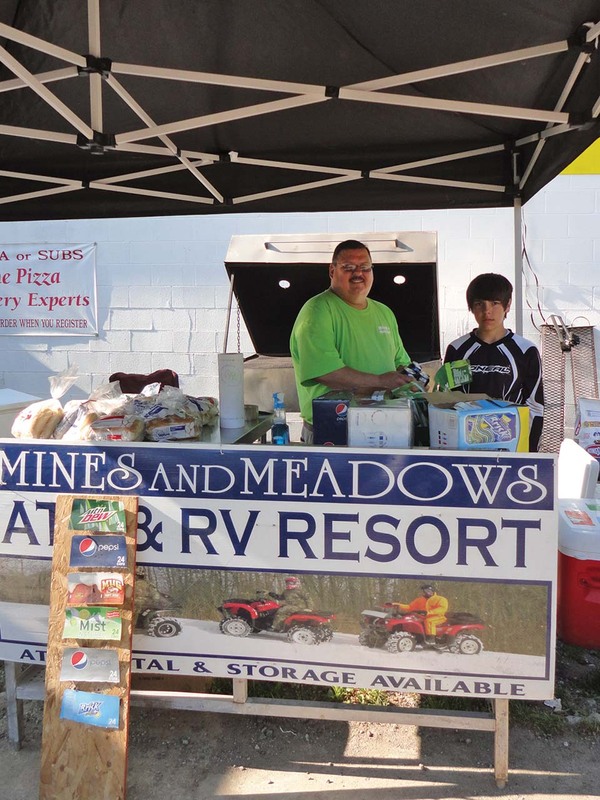 During our recent visit to Mines & Meadows, owner Dave Tullis and his staff treated us like family, and it felt very much like riding at home with tight, tree lined trails. It was exhilarating to wind up and down the hills, exploring each trail and fully appreciating the awesome views. 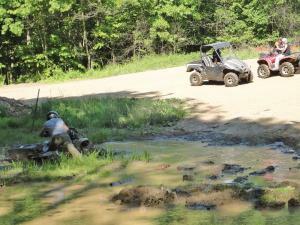 As with most of Pennsylvania, there are plenty of rocky sections to pick your way through, and the creeks will quickly become swollen with any heavy rain, which also means mud. It’s always fun to watch other riders challenge themselves and their machines in the mud. We’ll often give it a try as well, but Mines & Meadows has a few chocolate brown pools of unknown depth, and we didn’t want to find out the hard way how deep they really were. 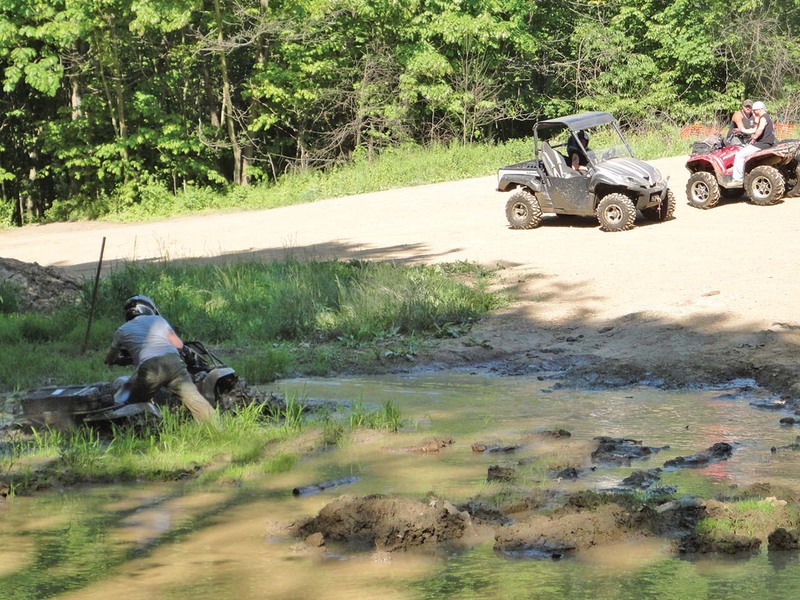 If you love playing in the mud along with your hill climbs, you’ll have plenty of fun at Mines & Meadows. Mines and Meadows is packed with fun for the family, with great riding and challenges for riders of all levels. They’ve got facilities for RVs and camping, or you can stay in a nearby hotel. Mines & Meadows is open year round, and $25 gets you riding for the day, but there are weekend, seasonal, and year-long passes as well. 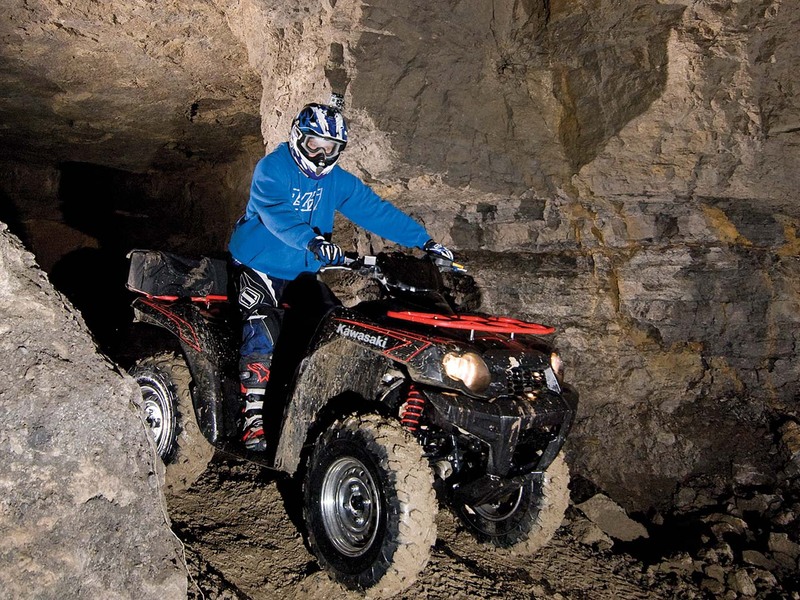 You can even store your ATV on site if needed, and they’ll even clean it up for you and have it ready to go on your next ride. If you’re up for a challenge or for a ride like no place else, give Mines & Meadows a try.